On the same day the Philadelphia Eagles released linebacker Mychal Kendricks, news came down of another linebacker who will also be of no service to the team in 2018. And this one never even got a chance to put on an Eagles uniform. According to a report from Ian Rapoport of NFL Network, Paul Worrilow was diagnosed with a torn ACL after a collision during Tuesday's OTA practice. Source: #Eagles LB Paul Worrilow has suffered a torn ACL. He’s out for the 2018 season. Bad blow in May. I wouldn't exactly call that a "bad blow" (to the team, anyway), though it will deplete the Eagles' depth at linebacker to some degree. 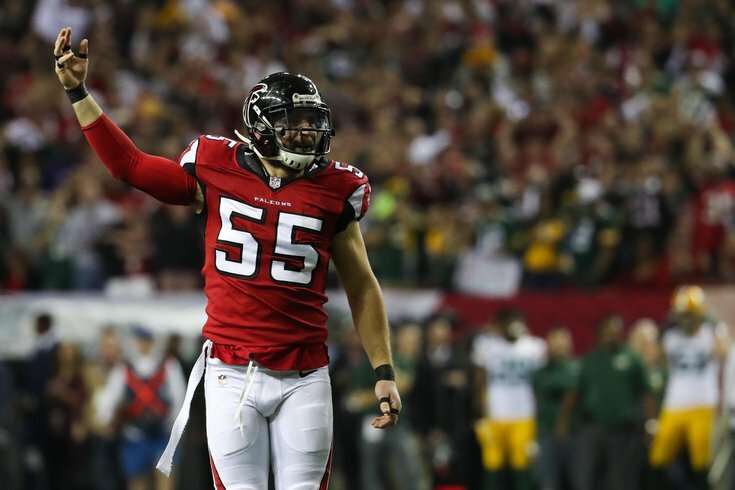 Worrilow, who was carted off the field, was a starter for the Falcons his first three seasons in the NFL from 2013 to 2015, playing in 47 games. During that span, he racked up 364 tackles. In 2016, however, Worrilow had a smaller role with the emergence of then rookie linebackers Deion Jones and De'Vondre Campbell. Worrilow played in 12 games in 2016, starting just one, and managing just 21 tackles. In 2017, he signed with the Lions, playing in 13 games and starting eight. He had 30 tackles. The Eagles will probably look to add another veteran linebacker.